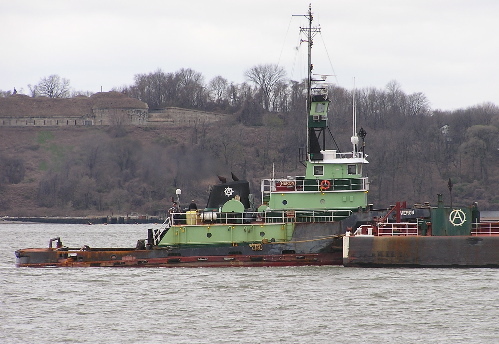 You are currently browsing the daily archive for April 13, 2008.
nothing unusual at first, an inbound tug pushing a barge. But when the name became visible, it made my day . . .
although I then wondered if the speck on the southern horizon might be chocolate express or maybe creamer express. Hey, “milk train” used to be a common term. 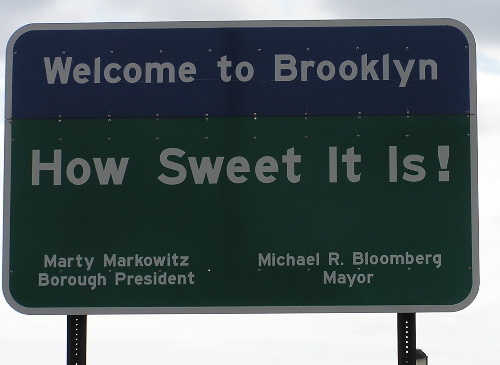 Other questions emerged, too, like where in Brooklyn will this sweetness be delivered . 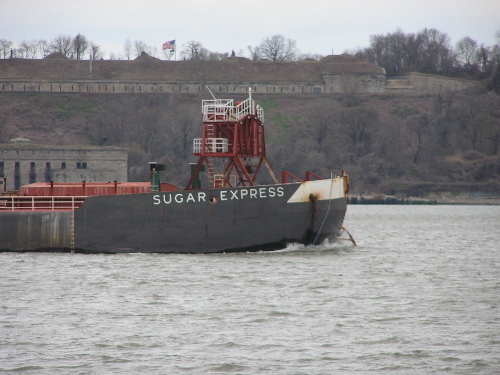 . . or maybe this barge carries goodies from southern Brooklyn to be shared with less-sweet places to the north. Notice how the superstructure of the barge migrates? And pushed by Heron? 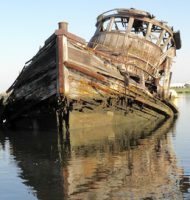 We have to rename this tug. By the way, I waited in vain for the Chocolate Express. I know a children’s book writer who could use this name. Foto note: The top shot could have included the incoming tug & barge if I had stood on the Belt Parkway, but given the amount of traffic, I might not have returned with said trophy foto.